Today we made cute paper witches at art time. 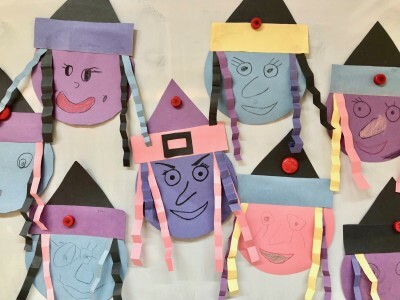 First we cut different shapes using color papers and then pasted them to make our witches. We made lots of Halloween decorations in our classroom now. Copyright 2016 Apple Bee International School. All Rights Reserved.